The wait is over. But does it deliver? After a two-year wait and huge amounts of speculation, one of the most anticipated series returns. As much as many a viewer and fan enjoys the intricacy and humour of the series, the thing everyone wants the answer to is how Sherlock survived the fall. You’ll be glad to know it’s in no way swiftly swept under the carpet and is dealt thoroughly throughout the episode. How did he do it you ask? Well… I couldn’t possibly tell you now could I! But Steven Moffat and Mark Gatiss have cleverly exploited the many theories that abound leading to many a comical moment and nods to the theorists. 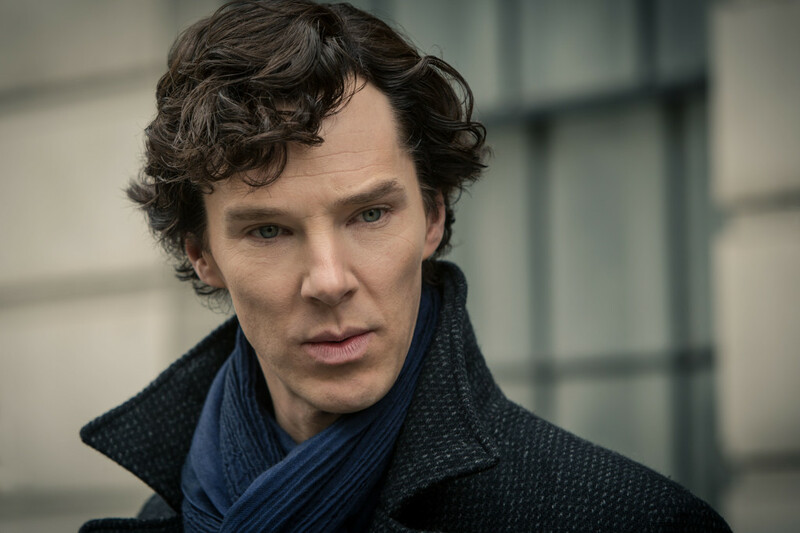 So what has Sherlock been doing and why does he return? Picking up the threads from the series two finale, Sherlock has been spending his time trekking round the globe dismantling Jim Moriarty’s criminal network. However, Sherlock is now needed back in London to foil and discover who’s behind a recent threat of a huge terrorist attack on the city. There’s just the minor issue of breaking the news to those who were closest to him that he is in fact very alive. Sherlock may be a genius, but he’s a socially inept one. Deciding the best way to spring the surprise on his old friend John Watson (Martin Freeman) in the style of a theatrical caper and in a public place at a very inopportune moment, from John’s point of view adds insult to his already feeling of unjust. In his sociopathic mind Sherlock fails to see the implications of his actions of the past two years and how John will react. So where does everyone else fit, Sherlock thinks Mycroft (Mark Gatiss) is in denial about his loneliness but never his intelligence. Both John and Molly (Louise Brealey) have got engaged and moved on – although Molly sticks to “type” with much hilarity; John is now engaged to Mary played by his real-life partner Amanda Abbington, who fans will be pleased to know bridges the gap between the two friends; Mrs Hudson (Una Stubbs), bless her, is still at 221b Baker Street and welcomes the return of Sherlock (as do we all), John is not quite so lucky. The Empty Hearse is a fast-paced puzzle, however, some may be dissapointed at the lack of intricacy they’re probably used to. Although the final scenes do hint that the story is perhaps more layered than first thought though.